This is one time, noted Trevor van Riemsdyk, when sibling rivalry has been put on ice. 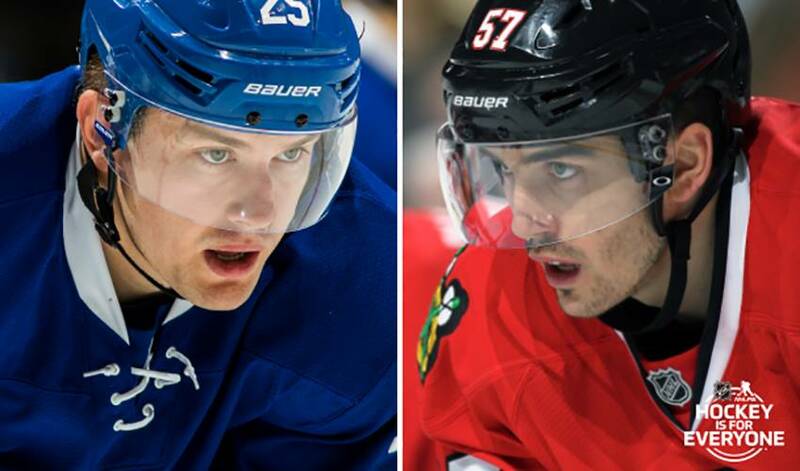 When the NHL announced the 30 ambassadors (one for each team) as part of Hockey Is For Everyone month (February) in partnership with the You Can Play Project – an organization that supports the LGBTQ community and combating homophobia in sports – the van Riemsdyk brothers, defenceman Trevor of the Chicago Blackhawks, and winger James of the Toronto Maple Leafs, were selected for the role for their respective Original Six club. The two exchanged texts when the list was revealed. Neither sibling has any designs on outdoing one another. Those days, at least away from the rink, are long gone. But they aren’t necessarily forgotten. That won’t be the case on March 18 when Chicago visits Toronto for a Saturday night matchup. After the final horn sounds and the ‘Hawks are ready to head out of town, the messaging will start up again and the brotherly love will resume. Trevor has also found the ideal role model, on and off the ice. It’s something the van Riemsdyk brothers were reminded of when they were given the opportunity to be on the same team, so to speak, through the You Can Play Project. This time, though, Allison van Riemsdyk won’t have to worry about settling any mild skirmishes between her sons. So, was it James that typically ran to mom first? James van Riemsdyk doesn’t need to be in uniform to be a difference maker. His efforts to raise funds and awareness for autism are a perfect example of that. For an athlete that knows a thing or two about hitting the target, it’s somewhat of a surprising answer that James van Riemsdyk gives when it comes to the Summer Olympics sport he’d be least successful at. After experiencing TIFF, James van Riemsdyk wants to create the same kind of bigtime buzz in Toronto for the Maple Leafs.